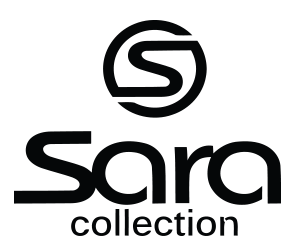 This agreement sets forth the terms and conditions that apply to the purchase of products and/or services from Sara Collection using the www.saracollection.com website. Sara Collection reserves the right to change these terms and conditions without prior written notice at any time. You hereby consent to the exchange of information and documents between you and Sara Collection over the Internet or by e-mail, and that this Agreement in electronic form shall be the equivalent of an original written paper agreement between us. You further agree that all agreements, notices, disclosures and other communications that we provide to you electronically satisfy any legal requirement that such communications be in writing. Before submitting an order for the purchase of Products using this website, you will be shown an order confirmation screen describing, among other things, the Product(s) to be ordered, the purchase price and any applicable charges for shipping and taxes. When you submit your order, such order will constitute an offer from you to Sara Collection to purchase the Product(s) described in the Order Confirmation, for the price and subject to the other charges, terms and conditions set out in the Order Confirmation. Orders are not binding on Sara Collection until accepted by Sara Collection. Sara Collection acceptance of your order is evidenced by return e-mail from Sara Collection indicating that your order has been accepted. Sara Collection reserves the right, in its discretion, to limit quantities, terminate accounts and to refuse or cancel any order, including after the order has been submitted, whether or not the order has been confirmed and your K-net\credit card charged. In the event that your order is cancelled after your payment has been processed, Sara Collection will issue a full refund. All prices quoted are payable in Kuwati Dinars. Although Sara Collection strives to provide accurate product and pricing information, errors may occur. 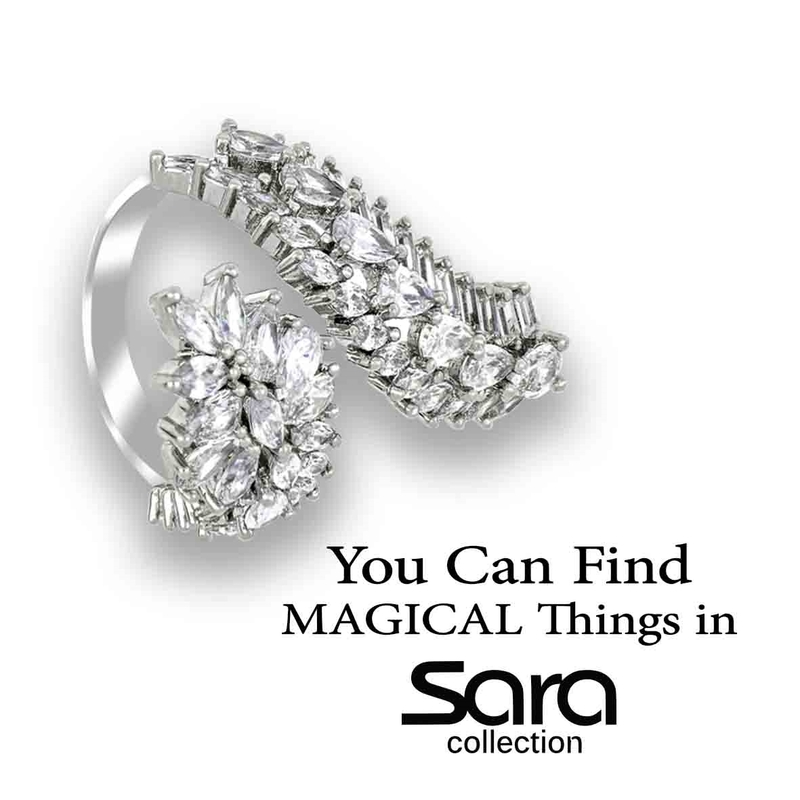 Sara Collection reserves the right to correct any errors in pricing or product information and to modify the prices of Products, at any time, without prior notice. Sara Collection cannot confirm the price of a Product until after you submit an order for the Product. Terms of payment shall be determined at Sara collection sole discretion. Payment shall be made by K-net, credit card and Visa unless some other pre-arranged method of payment has been accepted by Sara Collection. The availability of certain Products may be limited, and Products may not be available for immediate delivery. Sara Collection may revise or cease to make available any Products at any time without prior notice. In the event that Sara Collection is unable to deliver you a Product ordered due to lack of availability, Sara Collection will notify you via e-mail and your order will be automatically cancelled with respect to such unavailable Product, provided that Sara Collection may, in its sole discretion, contact you in order to allow you to maintain your order subject to a revised delivery time if and when the Product becomes available. Sara Collection will arrange for the shipping of the Product(s) ordered by you according to the delivery method you have chosen and to the address indicated in the Order Confirmation. Delivery times provided by Sara Collection are estimates only.Unless otherwise stated, all prices quoted do not include shipping and handling charges and, where applicable, federal and state sales taxes. The applicable taxes and shipping charges will be shown separately on the Order Confirmation. All Product(s) purchased from Sara Collection are delivered to you by a third party delivery company, pursuant to a shipping contract. Since the actual delivery of your order can be impacted by many events beyond Sara Collections control once it leaves our facilities, Sara Collection cannot be held liable for late deliveries. Sara Collection will, however, work with you to ensure a smooth delivery. All Product returns are subject to the Sara Collections Return Policy, the terms of which are incorporated herein by reference. Some restrictions may apply. Products sold or delivered under this Agreement shall be subject to export control laws and regulations of Kuwait. You agree to comply at all times with all such laws and regulations. You will defend and hold Sara Collection harmless against all claims, damages or liability resulting from breach of the foregoing.